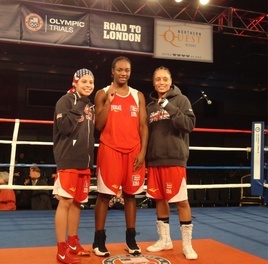 The Three Women’s Boxing U. S. Olympic Trials Champions: Marlen Esparza, Queen Underwood, Claressa Shields! From the elite list of 24 women’s amateur boxing champions that came to Spokane, Washington to fulfill their Olympic dreams, it is now down to three: Flyweight Champion, Marlen Esparza, Lightweight Champion, Queen Underwood and Middleweight Champion, Claressa Shields. In a night of historic significance in the annals of the Olympic Sports movement and importantly, women’s sports these three champions gave everything in pursuit of their goal to represent the United States at the 2012 World Championships — with the hopes of grabbing a berth at the 2012 London Olympic Games this summer. The non-stop action began with a thrilling battle between flyweights Marlen Esparza and challenger Tyrieshia Douglas. Both fighters have met twice before in the USA Boxing National Championships finals, but it was Esparza’s night once again as she built up points round after round with her stinging outside/inside game and commanding ring generalship for a final score of 32-17. 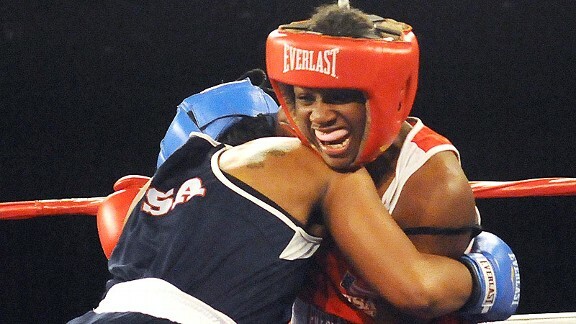 Home town favorite and lighweight Olympic hopeful Queen Underwood, in her second U. S. Olympic Trials bout with challenger Mikaela Mayer fought another tough close bout through four rounds of tactical, smart fighting with her taller opponent. Mayer was able to get within three points of Underwood, but Queen prevailed with a final score of 22-19. In the final bout of the evening, 16-year-old middleweight, Claressa Shields, continued her unbeaten record in her bruising battle with Tika Hemingway. This was also their second meeting in the U. S. Olympic Trials. Shields fought off a constant onslaught from Hemingway which saw her pushed into the ropes, however, through sheer nerve and power she was able to claim victory with a 23-18 decision. Claressa was also named the Outstanding Boxer of the Tournament to round out her evening of triumph. Let us all lend our support to these outstanding women as they work towards achieving their historical goals of being the first representatives of the United States to compete in a women’s boxing event at the 2012 London Olympic Games. USA Boxing, Greg Beacham/AP for the Seattle Times, Washington Post, ESPN, Los Angeles Times, Flint Journal and Spokesman-Review. In case you missed any of the action, you can watch videos of the historical tournament here. 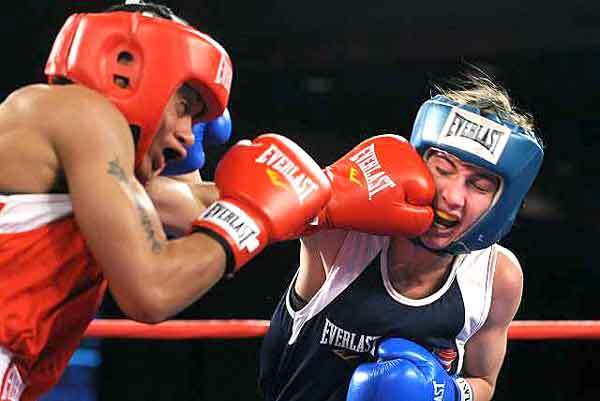 « Women’s Boxing Olympic Trials Day Six, 2/18/2012!